Krups FME2-14 coffeemaker is not remarkable but people like it -why? Krups FME2-14 coffeemaker is not very remarkable, it is a drip coffee maker that is programmable. That is about all there is to say. But, if you would to research on it (Google it), this is one of the Krups or even coffee machines that has plenty of positive reviews. So what gives us the expert status to review? Seriously, we do not even consider ourselves as expert. 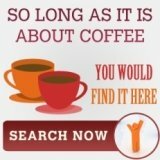 We search and look at coffee makers based on what YOU would think. We put on the hat of a shopper and then review and rate coffee makers in terms of its pricing, its usability, its popularity and its fit into a kitchen. To learn about how we review coffee makers, check out this link. This is a 12 cup programmable coffeemaker from krups that is easy to use and does a decent brew. It follows the usual Krups design policy with its sleek outlook coupled with an attractive LED panel display. Other than looking good, it is pretty hard as well. The only drawback might be its "light" carafe. The 1100 watt allows for very fast brewing and the cascading brew is a reason why it is able to produce very consistent coffee. Other value add includes Dou filter that filters the minerals to give soft water for better coffee. At less than $50, this is consider medium range when it comes to drip coffee maker. But, if see this as a programmable coffee maker, then the pricing is reasonable. On the whole, the pricing for this model is reasonable. 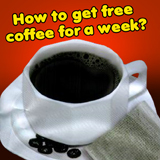 Usually, we do not much complaint in ease of use when it comes to programmable coffee maker. Punch in a few buttons and you have fresh coffee early in the morning. As mentioned, based on the comments and reviews, this is one of the most popular Krups coffee maker around. Probably not as space saving as a single serve but generally smaller than a espresso machine. But, if space if really an issue, then this might not be the machine you should be looking at. Do not take out word for it! This is what we think as consumers -you might think differently. The best thing about internet are the tons of reviews available! But, not from anyone but folks that have used FME2-14 before, read more about it in that link. And if you are looking for other articles similar to krups fme2-14 coffeemaker on other krups models, check out our krups homepage. 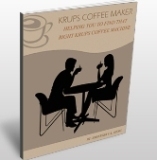 Have A Great Story About Krups Coffee Maker? Do you have a great story about Krups Coffee Maker? Share it!